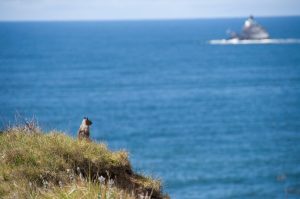 If you’re looking for a romantic getaway off a gorgeous Oregon Coast, look no further than Arch Cape Inn. Surrounded by coastal state parks, our beautiful French hotel envelopes you with its European atmosphere as soon as you step foot on our property. Our charming, refurbished resort is reminiscent of a 18th-century French chateau. Perfect for creating that extra special ambiance for your romantic retreat! Looking for more to do in the area? We have taken care of the hard work for you! 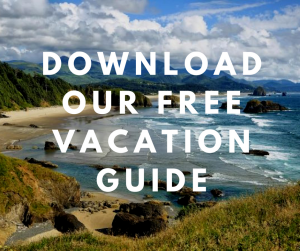 Our Vacation Guide is easily accessed and jam-packed with all of our top recommendations of what to do in Cannon Beach. Find out our favorite places to eat, the best shopping we have to offer and much more. It’s a fantastic tool to utilize as you plan a romantic getaway in Cannon Beach! A Romantic Getaway in Cannon Beach has Never Been Easier! 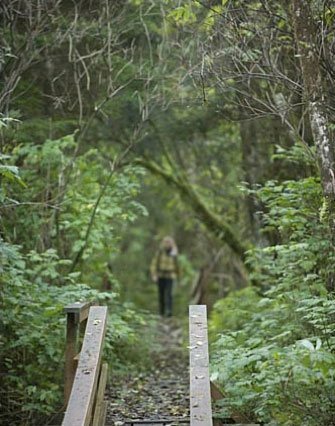 Our beautiful resort is located in Cannon Beach, a small coastal artists’ village. It’s the perfect romantic setting to get away from the rush of the rat race and enjoy the moment with the one you love. Open a bottle of wine and listen to the sounds of the Oregon Coast. The tranquility of Arch Cape Inn Inn is sure to purge all the stress you’ve accumulated! Cannon Beach is full of activities for couples. Walk hand-in-hand along the Oregon shoreline and visit Haystack Rock. When the tide is low, you can see the incredible ecosystem surrounding the iconic rock. Browse the galleries in town or watch a local artist craft an art piece and bring home a unique souvenir at Icefire Glassworks. Munch on fish and chips or crepes along the beach, or enjoy a fine dining meal at one of the restaurants in town. Cannon Beach has something for everyone! Whether you’re celebrating a honeymoon, anniversary, birthday or just being alone together, our add-ons and specials are sure to make your getaway one for the memory books. Arch Cape Inn & Retreat makes planning a romantic getaway easy. Best of all, many of our specials can be easily added to your reservation online. Here are our favorite packages! If you’ve been feeling overworked and disconnected from the one you love, this package is for you! Reconnect with your significant other with our Stress Reduction Package. Enjoy a romantic 60-minute couple’s classic relaxation massage in your room, then relax with chilled champagne, wine or cider and two roses awaiting by the fire. It’s the perfect way to rejuvenate! In the morning, a gourmet breakfast for two can be served in your room. 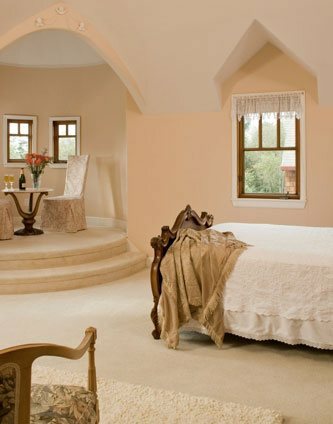 We recommend these rooms for this package: Tuscan Spa, Tower, and Tapestry. Please call us to schedule, as our massage times are subject to availability. Whether you’re coming off of a long, hard time at work, the kids are stressing you out or life in general has been hard, there’s really nothing like a private massage in a beautiful room to remind you to breathe and savor the moments. This package is for a 60-minute massage in the room of your choice at our gorgeous French chateau. You can also book it as a couples’ massage – something we highly recommend! Massage times are subject to availability, so please call us to add this package on to your stay with us. Needing more? We can extend your massage time to 90-minutes for an additional fee. All wound up from the stress of everyday life? Learn to relax together with our Tranquility Package. When you enter your room, you’ll find a chilled bottle of your choice of champagne, wine, cider or freshly steeped organic tea, along with sliced fresh fruit. In adition, there will be a lavender, herbal or orange blossom aromatherapy bubble bath amenity basket. The soaking tub is accessorized with an fresh flower arrangement. And we leave the fire lit, so there is no option other than total relaxation and rejuvenation! For this package, you must stay in a room with a tub, which are Provence, Tapestry, Gauguin, Tower, and Owners. If you’re hoping for a romantic surprise to be waiting in your room, there’s nothing quite like a bottle of chilled champagne and a dozen red roses to make your stay one to remember. This add-on is sure to bring a smile of delight! Nothing says “I love you” like a dozen red roses! It’s the timeless expression of true love. Add this on to your stay with us to truly pamper and treat your special someone. If champagne isn’t the way to your special someone’s heart, maybe an adorable teddy bear is! Walk into your romantic suite and find a cuddly stuffed bear waiting along with a bouquet of roses. The teddy may be white, brown or tan. Arrive in your beautiful suite to find a mixed flower bouquet waiting! Please allow us 24-hour notice. Roses can be added for an additional $20. If chocolate is the way to your significant other’s heart, we have the perfect pair for you! Add on a bottle of Oregon Pinot Noir and a box of handmade, incredibly delicious and smooth chocolate truffles. 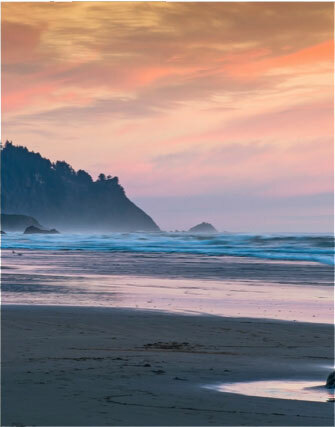 Ready for a truly romantic experience on the Oregon coast? Our Beach Fire Package provides you with everything you need for a private, dreamy beach bonfire on the coast. Wrap up in a cozy blanket for two, roast marshmallows on your own fire and make s’mores. We guarantee the memories of this night will last for years to come! 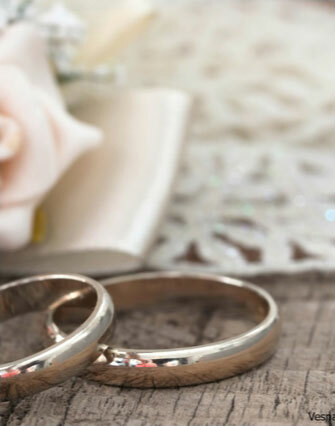 Celebrating a birthday, anniversary or honeymoon? Or any other special occasion that is worthy of a cake? We would love to help you make the day even more special with your very own cake. Call us to discuss your request. Additional costs may be added based on the cake. Nothing quite says romance like chocolate-covered strawberries. Ours are handcrafted by our innkeepers, made fresh on the day you request them. Please allow at least 24-hours notice for this add-on. Wanting something special to munch on during your stay at Arch Cape Inn? Our handmade, delicious truffles are the perfect choice. Four beautiful crafted truffles are nestled together in a wrapped box. It’s a fantastic way to add that little something special to your stay. We pride ourselves on helping our guests have the best, most romantic weekend away they can imagine. Our beautiful chateau is the perfect backdrop to your much-needed time to recharge and reconnect with the one you love. 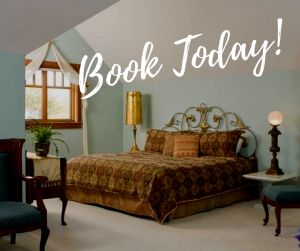 Check our availability to begin planning your romantic getaway to Cannon Beach and Arch Cape Inn today! The Ultimate Guide to the Best Cannon Beach Sunrise Spots — Dine at the Best Cannon Beach Seafood Restaurants This Season!